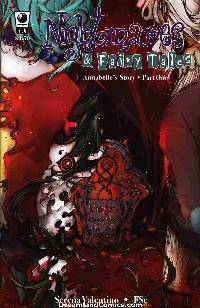 Nightmares & Fairy Tales returns for a four issue series featuring the original creative team of Serena Valentino and FSc. Gwen and Annabelle venture off to find Morgan, a young woman who has been locked away in an asylum for many years for murders she did not commit. Soon, they find themselves in an abandoned town haunted by its own bloody past!